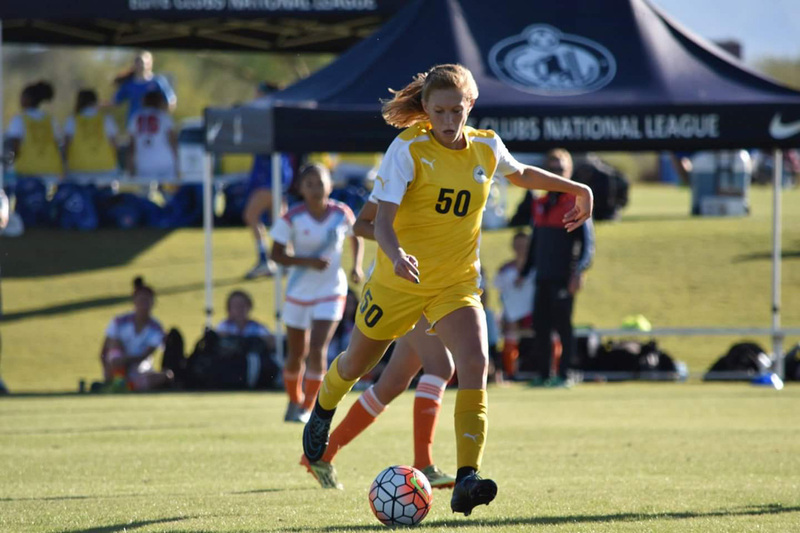 USC commitment Hannah White is a leader on the NTH-Tophat 01 ECNL girls squad, one of the top teams in the region. Hannah, a captain and one of five players on the squad in the US National Team pool program, possesses quality footwork and a prominent work ethic that makes her a force to be reckoned with on the pitch. The team’s coach, Troy Garner, also says he has seen Hannah develop emotionally as well.